Warwick Dental Insurance - Help in Cranston, Providence, Coventry and West Warwick Areas with Your Dental Insurance or PPO Plan Benefits - We support these dental insurance plans: CIGNA, MetLife, Delta Dental, Blue Cross Blue Shield and Aetna. 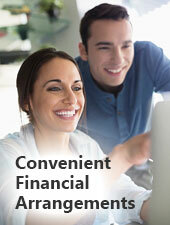 Our goal is to maximize your dental insurance benefits and make any remaining balance easily affordable. If you have any questions regarding your dental plan coverage and benefits, please don't hesitate to call our Warwick office at (855) 396-2188 to review your concerns. At Oaklawn Family Dental Association we pride ourselves on the quality of our care and our ability to efficiently process our patient’s dental insurance benefits in the Warwick, Cranston, Providence, Coventry, West Warwick and Kent County areas. We accept these great dental insurance plans: CIGNA, MetLife, Delta Dental, Blue Cross Blue Shield and Aetna, and many others. If you do not see your insurance provider listed, please feel free to give us a call. If you would like to review your dental insurance and financial arrangement options with one of our team members in advance of treatment, please call (855) 396-2188. Our practice processes insurance from the following companies - please call our office at (401) 463-7676 to verify your specific coverage.